You are here: Home » What Does WordPress 3.2 Mean for Artsy Editor? An hour ago, WordPress 3.2 was released (coincidentally on the same day that WordPress 3.1 received 15 millions downloads). It includes an admin design change, a new Twenty Eleven theme, and most importantly, they revamped the their original full-screen mode in a distraction-free editor. What does it mean for Artsy Editor? We indeed have a distraction-free environment, but we are much more than that. For example, you can drag-and-drop images anywhere into the editor, they will be automatically uploaded and inserted to the post. We also have a Photoshop-style image scaling feature. You can simply drag the handle to resize to whatever dimension you want. Few more things you can do include change the color and font, add links without the overlay, etc. You can try out Artsy Editor to get a feel of what I am talking about. 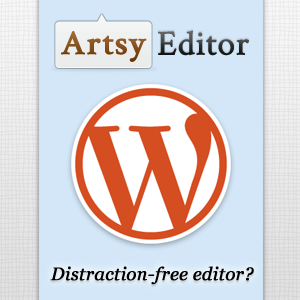 For more information, we have a dedicated page about Artsy Editor vs. WordPress distraction-free editor. If you prefer WordPress’ basic implementation, that’s great. But if you feel like you need the additional features (image & link manipulation) or you enjoy our UI more than WP’s, you can purchase a copy. It’s amazing how WordPress can come along and jeopardise an entire business in one move. Glad to see that Artsy Editor has plenty to offer above and beyond ‘uninterrupted writing’. Plus, we have many awesome stuff planned. I read your article on WooThemes about how you developed the ArtsyEditor site based on Woo Simplicity and have subsequently followed the links to reach your other posts. I wanted to let you know that I really enjoyed reading all of them as the articles were all interesting and well-presented, and your enthusiasm really came across in each article, as they offered more than just the bog-standard filler content sometimes seen in template-like ’10 steps to commercial heaven’ articles, so thank you for sharing your knowledge and educating us all! Whilst I do love WordPress, sometimes the fact that it needs to absorb new ‘community-introduced’ features into core to improve itself – my limited experience with WP from 2.0 onwards – it does make it seem oddly ominous at times, even though I know it is important and occasionally essential to do so. 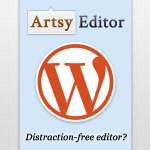 So I very much hope that if the WP team decide, one day, to develop their distraction-free editor so its features will become much like ArtsyEditor, that they will decide to collaborate with yourself and Sean; perhaps a bit like what they did with WooNav. Thanks for the comment and appreciate your kind words. We’ll think about this. 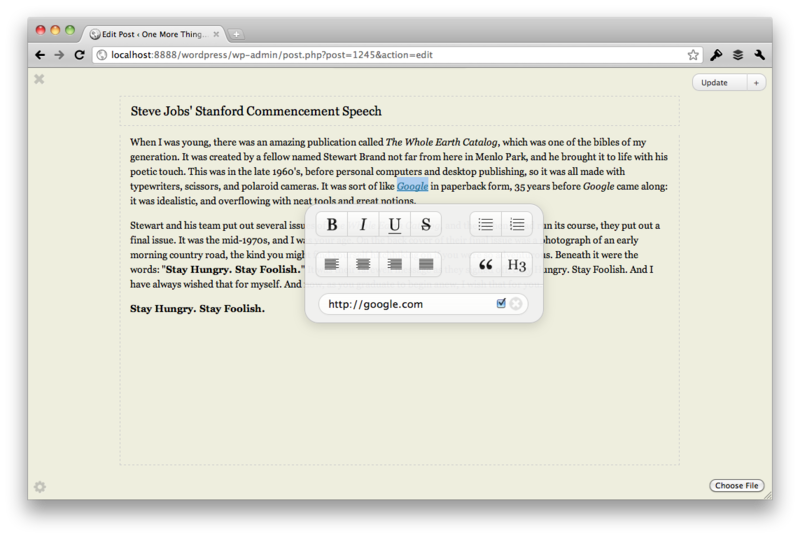 Hi – I like the feel of this editor in the demo, even though many of the features are now in wordpress core. Are you still maintaining / developing this plugin? Also – does it/could it work with front end editing such as in the Wiki plugin from WPMUDEV?